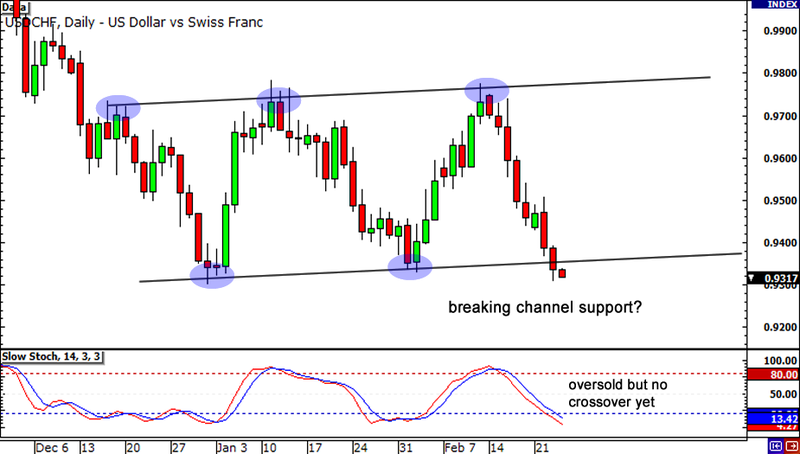 Let’s take another look at that daily chart of the USD/CHF! As I pointed out a couple days ago, the pair had been chillin’ in a channel. However, the bears have kept clawing away and it now looks as if the pair is breaking through support! Watch out for another red candle as a sign that this pair is headed for new lows. Who knows – the .9200 may not be out of the question! Yowza! 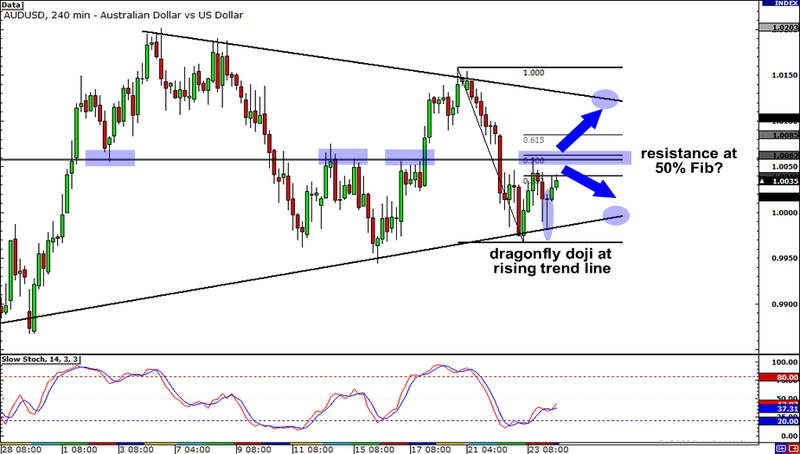 That symmetrical triangle on AUD/USD sure is a head-turner! I know that dragonfly doji sitting at the rising trend line might have gotten some of you giddy to go long on the pair and aim for resistance at the top of the triangle. However, you may want to wait for some confirmation first because the pair’s bounce could be nothing more than just a retracement! Keep a close eye on the 50% Fib level at around 1.0050 and see if resistance holds. If it does, AUD/USD could tumble down to support at the bottom of the triangle at round .9985 or even slip all the way down to .9870! My, my! It looks like traders have been going loco for the yen like girls in a Justin Beiber concert! 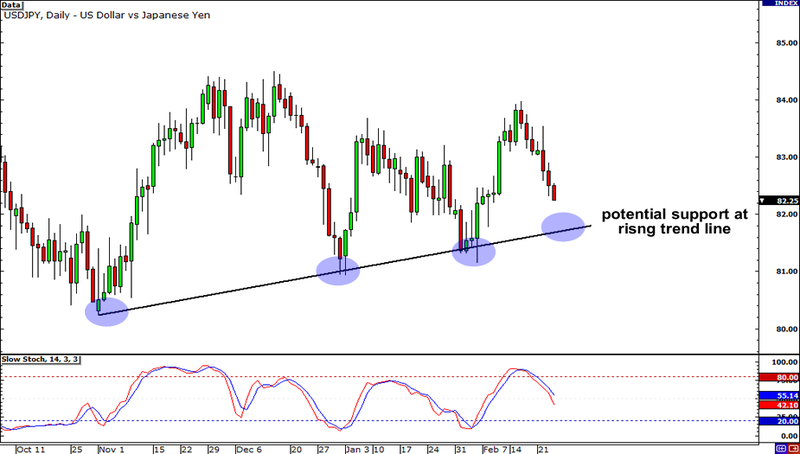 Now if you plan on joining the bear camp on USD/JPY, you may want to take note of that rising trend line on the daily time frame because the pair may just find support there. If reversal candles start forming around the 82.00 handle, it could be a sign that USD/JPY could be on its way back up. On the other hand, a convincing break below that level could mean that the yen’s rally won’t stop until 81.00 or even 80.00!